Regardless, Giltena is presented as a completely new continent. This certainly allows for Atsuo Ueda to tell a relatively new story with an established series and known characters. I think that this should happen more than it does, Boruto is another series that has a new illustrated and writer, while the original creator maintain influence. The quest is similar, seal all five of the dragons. For some reason I assumed they would fight them all at the same time. That was obviously a dumb assumption. Anyway, they will face one at a time. The first dragon is the water God dragon, Mercfovia. 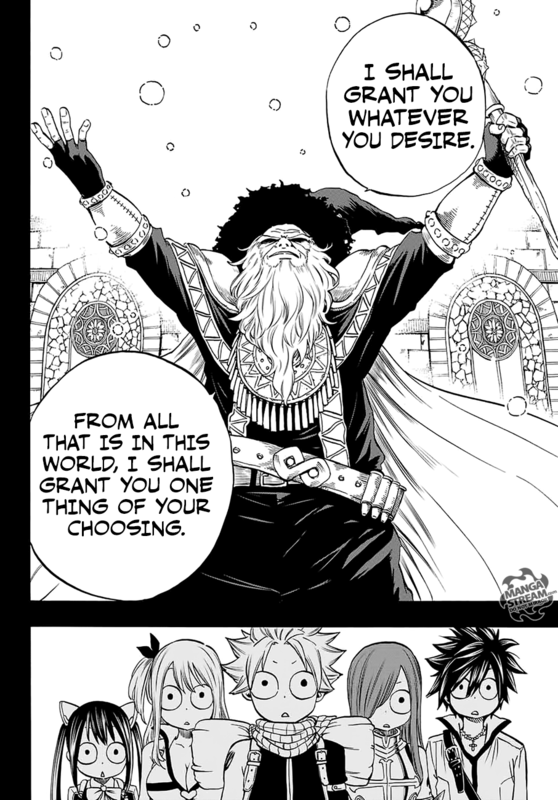 Once worshiped as a God in Elmina, team Natsu will head there to find clue of it’s location. In a flashback it is revealed that the reward for finishing the quest is “anything they desire.” It’s unlikely that he really mean “anything,” but it will be interesting to see what they as for. 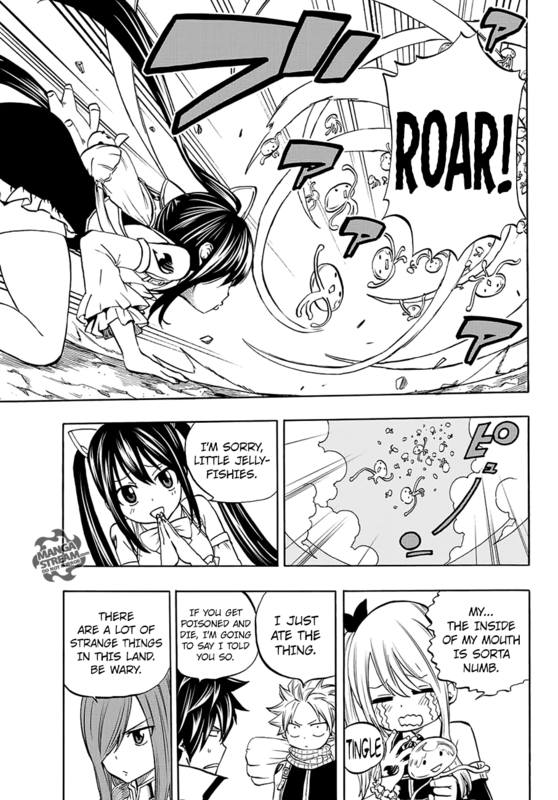 Meanwhile, Gajeel and Juvia begin to investigate (with Gajeel in a detective outfit) Touka. 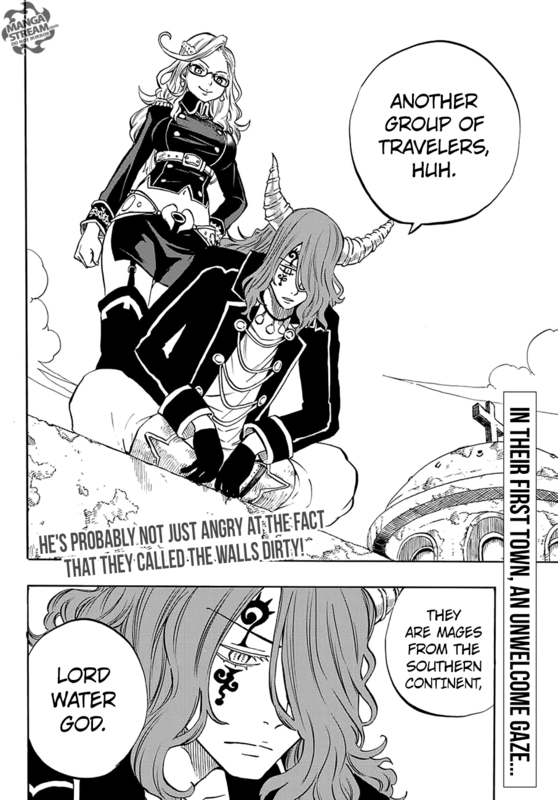 Finally, as team Natsu arrive in Elmina they are watched by two people. Next Post Shonen Anime’s Biggest Problem?